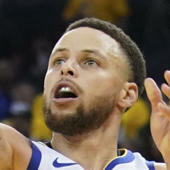 With four games on the NBA DFS main slate and hundreds of thousands of dollars on the line in NBA DFS tournaments and cash games, the right NBA DFS lineups on Sunday could prove to be lucrative. In order to separate yourself from the pack, you'll need to identify the players who present the best value relative to their cost. For instance, NBA DFS players who have rostered Damian Lillard have seen some massive returns recently, including 40 or more points on DraftKings in five consecutive outings. But is he worth his high price tag on Sunday against the Thunder, who are looking to even the series at home? You'll need to answer these types of questions before locking in your NBA DFS lineups in tournaments like the $250K Sunday NBA Shot on FanDuel or the $350K Fadeaway on DraftKings. But before you choose which players to roster on Sunday, be sure to check out the NBA DFS picks from DFS millionaire Mike McClure. He's a professional DFS player who has won almost $2 million in his career. He's also a predictive data engineer at SportsLine who uses a powerful prediction model that simulates every minute of every game 10,000 times, taking factors like matchups, statistical trends and injuries into account. This allows him to find the best NBA DFS values and create optimal lineups that he shares only over at SportsLine. They're a must-see for any NBA DFS player. For Sunday's playoff slate, we can tell you McClure is banking on Warriors guard Klay Thompson at $6,400 on FanDuel and $5,800 on DraftKings. Thompson comes at an extremely affordable price on Sunday, which will allow you to load your roster with big-time playmakers. Plus, Thompson has returned over 4x value on DraftKings in three of his last four games. He's a complete steal at this price point, so lock him in for Sunday's slate. Another player he's all over: Thunder forward Paul George at $10,400 on FanDuel and $8,900 on DraftKings. George enters Oklahoma City's pivotal Game 4 against the Blazers averaging a career high in points (28.0), rebounds (8.2), assists (4.1) and steals (2.2). And he's been an absolute stud for NBA DFS players, scoring 40 or more points on DraftKings in 12 consecutive games. That includes dropping 48 points on DraftKings in his Game 1 matchup against Portland, a game in which he exploded for 26 points, 10 rebounds and four steals. Lock him in as one of the top overall plays on Sunday. McClure is also targeting an overlooked player who has a dream matchup on Sunday. The stars are aligning for him to return 30, even 40 points on both sites, and he comes at a much lower price than you would expect. This pick could be the difference between winning your tournaments and cash games or going home with nothing.